Composite six-colour image of a part of the LMC H II region N214. 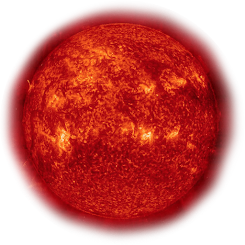 The image, taken with the ESO NTT/SuSI2, results from the co-addition of several individual exposures taken through various narrow and broadband filters (see Technical Information below). The field size is 248"x 332" corresponding to approximately 200 x 270 light-years. North is up and east to the left. 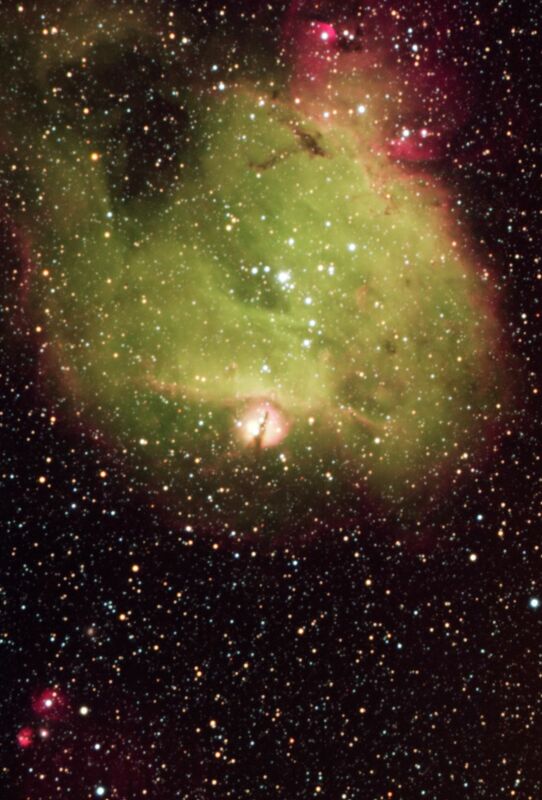 The large nebula in the lower part is N214C which in shown further as ESO Press Photo eso0513b. At upper left to the middle, a stellar cluster is clearly seen. At top-right, another series of compact reddish nebulae, N214H, are present. The new observations reveal that N214H consist of four compact H II regions hosting exciting stars and a diffuse nebula.